90% of the data in the history of the world has been created in the last 2 years (source: IBM). It’s given rise to an industry, Big Data, and a significant portion of it comes from social media chatter. Does it make sense for brands to listen to social media data? What kind of insights are revealed? Does it result in better decision making? 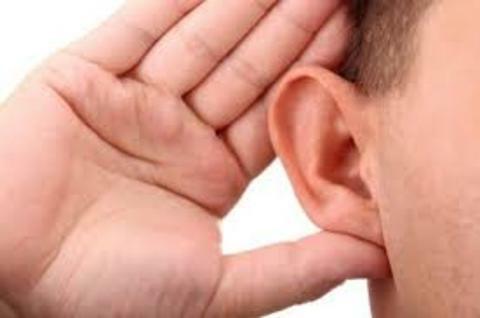 Here are 8 case studies that show the predictive power of social media listening. CALIFORNIA ELECTIONS: In the 2010 California governor’s race between candidates Meg Whitman and Jerry Brown, a study from Activate Direct social listening proved the ratio of positive to negative social sentiment to be very much in line with the ratio of favorable to unfavorable ratings shown by traditional polling and on-going focus group. But social media listening identified potential crises earlier, faster and for less research money. DELL: Uses social media chatter for cross-departmental team collaboration. Over 90,000 employee quickly and easily collaborate and listen in 11 languages in places like the company’s Listening Command Center. What has they found> In the US, Twitter chatter has a positive impact on their reputation and gained positive coverage in Mashable and Fast Company; in Germany, social media chatter among employees helps monitor the success of internal conferences; in China, blogposts have a direct effect on coverage with Sina, RenRen, microblogs and forums. HEDGE FUND MANAGERS: “Analyzing social media conversations can provide insights, ‘like X-Ray vision’, about a company’s performance in between their quarterly financial reports.” That’s the point of view of the McAlister Study and how hedge fund managers now listen to social media chatter when their research showed a direct positive correlation between sales and chatter; a 5% rise of positive chatter led to a 5% rise in sales. MORTON’S: You may have heard about social media consultant, Peter Shankman, who had the good luck when tweeting a shout out about how a Morton’s steak would be just the right ending to his flight arriving in Newark. The consultant with 150,000+ Twitter followers was greeted at the airport by a man in a tuxedo sent by Morton’s to deliver a complete steak dinner. Social media listening enabled Morton’s to pick out advocate from the crowd and create influence at a low cost. It probably didn’t hurt Shankman’s influencer rating and visibility either. NIELSEN: The gold standard for assessing the performance of TV programming, has started collecting social media chatter for TV rating. The Nielsen company said that one in three people using Twitter in June of 2012 sent messages at some point about the content of television shows, an increase of 27% from only five months earlier. Nielsen also estimated that 41% of tablet owners and 38% of smartphone owners used their devices while watching television. QUENTIN TARANTINO: His violent Nazi revenge fantasy Inglorious Basterds pulled in more than $37 million domestically in its opening weekend. A good portion is thanks in part to Twitter. After a $14 million opening on Friday, the film picked up steam over the weekend as the positive tweets kept rolling in. Research service, Trendrr, showed the number of tweets about the movie climbed steady through most of Saturday before tapering off early Sunday correlating directly with movie receipts. TOYOTA: At the beginning of 2012, the company faced very negative press due to revelation of recalls and announcing them late to the public. Toyota launched a large “transparency” and “apology” campaign using social media outreach. The company had four official Facebook pages, which saw a 10% fan base growth between late January and early March. USA president and chief operating officer, Jim Lentz, also participated in regular Twitter Chats. Toyota experienced a 41% increase in March 2010 sales, compared to March of last year. The company can’t prove a link between social media outreach and the sales boost, especially considering the unprecedented sales incentives and discounted leasing deals and mainstream media appearances by executives on such outlets as NBC, ABC, and NPR. But it certainly didn’t hurt Toyota to be transparent through social media and was a very smart part of a successful integrated campaign. UNISYS: A 100+ year old company, Unisys understandably has had some obstacles to overcome when adapting social media to their corporate culture. With several top executives leading by example, departments began to openly share communication using internal social media applications. But success stories within the company show huge innovative payoffs aided tremendously by the open sharing of information available through well-constructed social media platforms and corporate adaptations. To be transparent, not all brands are benefiting from social media listening. Coca-Cola reports it has yet to see any sales lift from social media buzz, even though the brand has 61,000,000+ fans on Facebook but the company continues to listen. In the music industry, Tom Silverman reports: “My new take is online media is the propagation channel through which attention waves travel. Bieber and Kutcher have huge attention waves so they travel far and fast. Speed of propagation is greater on YouTube than any other social platform due to the sticky video content. Media is not necessarily neutral. Great images and videos drive engagement faster than words for example. But we keep learning from real life stories. His New Music Seminar is this week in NYC. Do his case studies prove the predictive power of social media listening? Do you need help finding insights in the chatter for your brand?